The request for proposals deadline for the GCAF Grant for 2018 is now closed. Please follow the grant request guidelines published on our site. Dr. Ping Chi of Memorial Sloan Kettering Cancer Center was awarded the annual GIST Awareness Foundation Grant for 2012 through 2018. GCAF is proud and honored to support Dr. Chi and her research team at MSKCC. 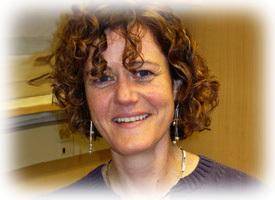 The 2011 Tricia Hayes Memorial Grant was awarded to Dr. Maureen O’Sullivan of Our Lady’s Children Hospital in Dublin, Ireland. The GIST Cancer Awareness Foundation financially supports research specific to Gastrointestinal Stromal Tumors (GIST); this includes basic science, translational, and clinical research that will lead to a better understanding of this disease and more effective and efficient treatments for those patients in need. The overall goal of the GIST Cancer Awareness Foundation is to promote projects that are dedicated to finding a cure for GIST. To be eligible to apply for a research grant, an applicant must hold a Doctor of Medicine, Doctor of Science, or another type of doctoral level degree. Research may be carried out in the United States or abroad but not at a for-profit laboratory or in the private sector. New Investigators and/or Established Investigators are eligible. New Investigators must be in a post-doctoral position, post-graduate fellows, clinical instructors, or those who have been assistant professors for fewer than five (5) years. Established Investigators must be assistant professors for five (5) years or more or are associate or full professors. The research needs to be focused specifically on GIST. The GCAF Operating Council has established a one (1) year grant award of $ 50,000.00 in the support of research on the etiology, molecular biology, pathogenesis, diagnosis, and treatment of GIST. Once a grant is awarded, GCAF will monitor the progress of the research by requiring quarterly reports to the Science Committee. The grant selection is an independent and unbiased process which is based solely on scientific merit. October – December – Initiate RFP process. Applications will be reviewed by members of the GCAF Science Committee. Awards are based on the scientific quality of the research plan, the applicant’s qualifications, and the quality of the research institution and facility where the research will be conducted. In the case of New Investigators, post-doctoral fellows and instructors may need a mentor or some sign of support, unless they can prove an independent career track. The quality, scientific focus, and degree of support of the research mentor will also be considered. Proposals will be reviewed and selected based on the best potential to improve our scientific and molecular understanding of GIST. A strong focus will be placed on those projects whose research includes a clinical translation. In addition to quarterly progress reports, a final report is required from investigators, which will be reviewed and approved by the Science Committee. The final decision on the Grant Award will be made by the GCAF Operating Council based on the recommendation of the Science Committee. If no proposal is considered worthy of an award, the GCAF may decide not to make an award for that respective year. 1)	Contents Page: The Table of Contents should list appropriate page numbers for each section. Table of Contents page should not exceed 1 page. 2)	Scientific Abstract: The abstract should be limited to 1,500 characters and must provide a clear, concise and comprehensive overview of the proposed work, including the background; objective or hypothesis and its supporting rationale; specific aims of the study; and its relevance to gastrointestinal stromal tumors. 3)	Lay Abstract: This is limited to 1,500 characters and must provide a clear, concise and comprehensive overview of the proposed work. The lay abstract must be written in language suitable for a non-scientific audience of gastrointestinal stromal tumor survivors and caregivers. It must include the background, purpose, objectives, and study design of the project; how it builds on existing research and will contribute to the field of gastrointestinal stromal tumor research; and how the results will help gastrointestinal stromal tumor patients in the future. If this is a new project, explain and show the innovation of the work. 4)	Proposal Narrative: Limited to 7 pages, including figures and tables. The Contents page; Scientific Abstract; Lay Abstract, Facilities, References, and Support sections do not count against this page limit. The information is to be presented in this order: A) Title of Research Project; B) Introductory Statement, Background, and Rationale; C) Specific Aims; D) Research Design and Methods; E) Significance and Statement of Relevance to Gastrointestinal Stromal Tumor. 5)	Facilities: Limited to 2 pages. Please provide a description of the research facilities, resources, and equipment to allow implementation of the research program. 6)	References: Limited to 1 page. References must be listed as Full Citations. Each citation must include names of all authors, publication title, book or journal title, volume number, page numbers and year of publication. 7)	Other Support. Applicants must list all existing and pending support that will be used by the applicant. 8) Budget justification. Justify salary and benefits and direct research expenses. Percent effort of the applicant on the proposed project must be indicated. Detailed justification is required for budget requests for equipment that exceed 10% of the total budget. 9)	Project Milestones. The milestones will be used to define a timeline for the research activities that you propose to accomplish over the duration of your project. Reporting progress towards milestones will be incorporated into the semi-annual reporting requirements for the project if funded. 10)	Applicant’s Curriculum Vitae (CV). An NIH Biographical Sketch is the preferred document to be submitted. 11)	Mentor’s Letter of Support. If applicable, the mentor of a New Investigator must show his commitment to the project and explain how he will guide and support the junior faculty member. 12)	Mentor’s Biographical Sketch. The NIH Biographical Sketch is acceptable and a letter of support from the mentor is required. Research grants awarded by GCAF are governed by the terms and conditions described below. Awards are funded by the GIST Cancer Awareness Foundation. Resources for GCAF resulted from various fundraising initiatives undertaken by the Foundation. The grant award program is under the technical direction of the GCAF Science Committee. Changes in scope of work, key personnel, and significant budget changes must be advised in writing to the GCAF Science Committee. The principal researcher will be listed in the award letter. GCAF must be notified in writing if the awardee is unable to complete the project and must terminate the award. Throughout the project period, written quarterly progress reports are due no later than ten (10) days after the end of each three (3) month period based on the start date of the project. A final report is due no later than thirty (30) days after the end of the project. GCAF is not, in the absence of a modification, obligated to reimburse costs incurred in excess of the approved budget of the award amount. Indirect costs and overhead expenses are not allowed under the GCAF grant award.